HomeTechnicalData CenterUpgrade to HyperFlex 3.0. It’s so easy! Then you will see that you have some requirements steps. vMotion interfaces should be configured, the system should be in a healthy state. And installing the Bootstrap is the most important one. 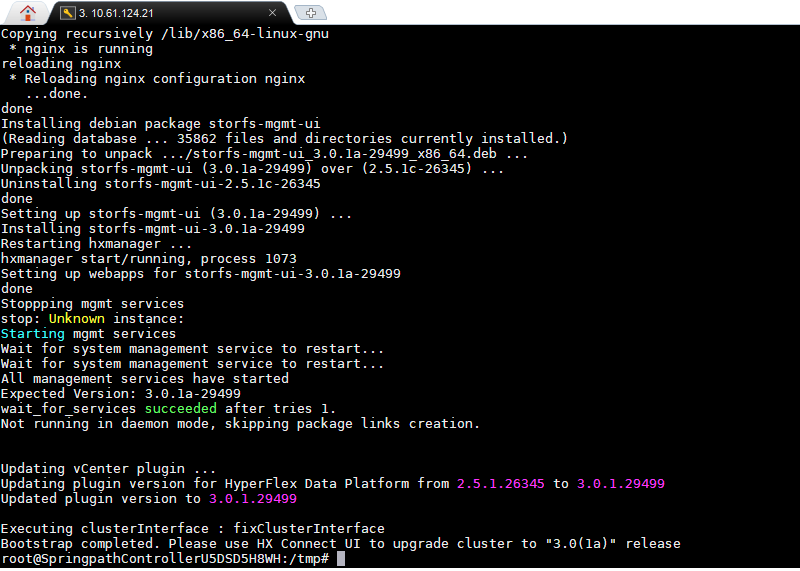 First you will have to upload the hyperflex upgrade file (downloadable from cisco.com/go/software) to the HyperFlex cluster. 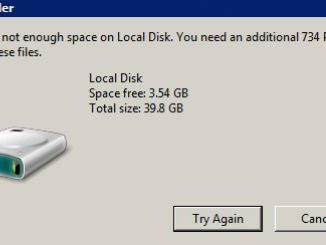 This can be done via MobaXterm or WinSCP. With those tools you can upload files via the ssh protocol. 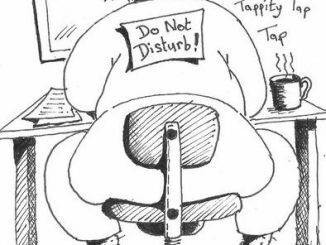 You will need to fill in the vcenter credentials and then just wait for a few minutes. When this is done, the real upgrade can be done. 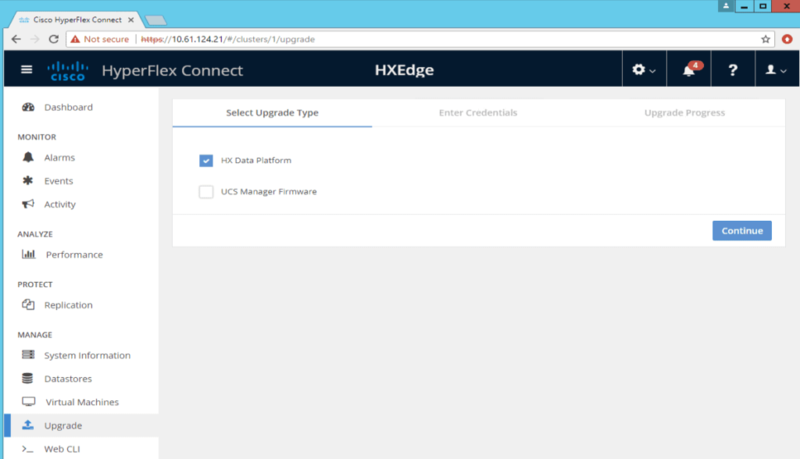 Let’s select the Upgrade tab and for the HyperFlex Edge upgrade, there is no need to upgrade UCS Manager. And now the system is upgrading the nodes 1 at a time. You still can have a peek at the nodes and see which is already upgraded. 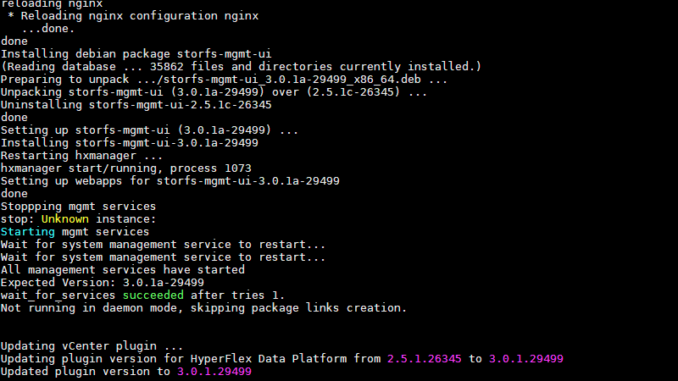 1 node is already upgraded to HX 3.01a version. The one which is offline is being upgraded. The other is still at the HX 2.5 version. 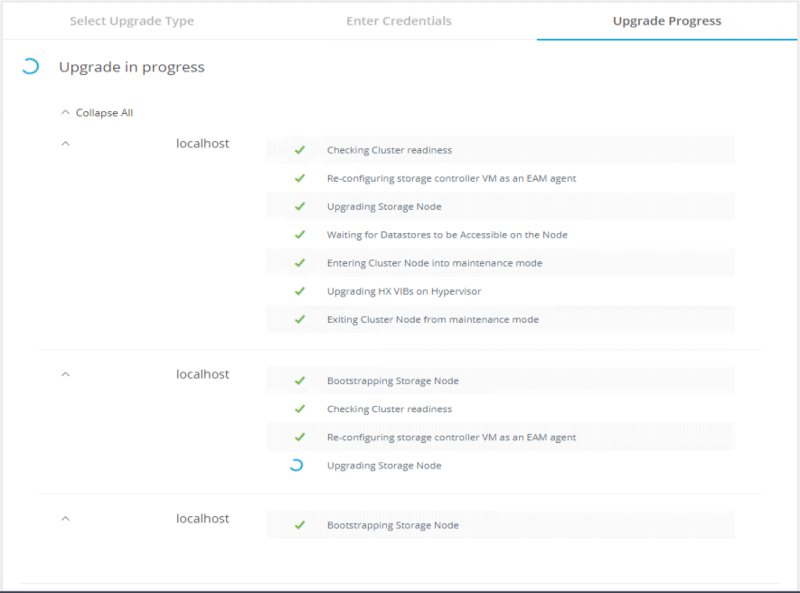 After a few minutes you will see that the whole system is healthy again and then all nodes are upgraded to the new version. In the event logs you see then the upgrade was finished. 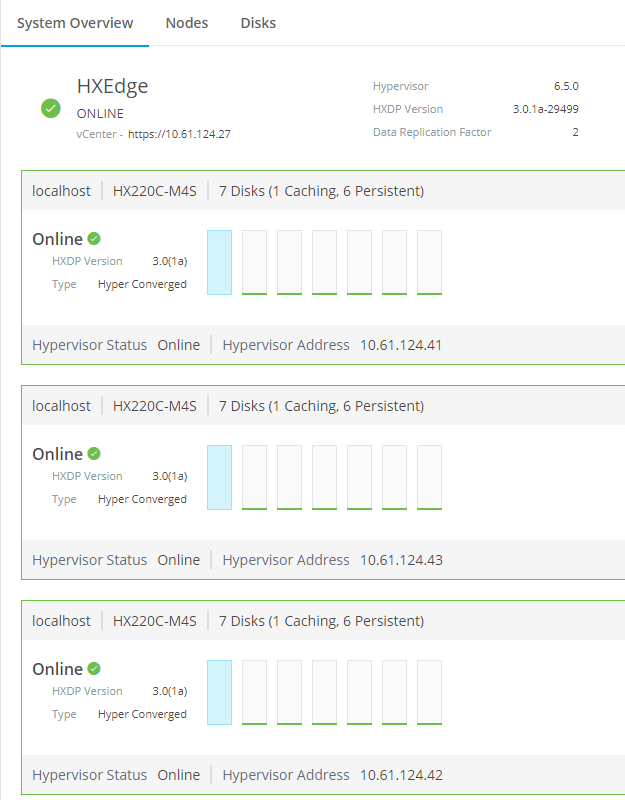 I manage both Hyperflex and VMware vSAN environments. 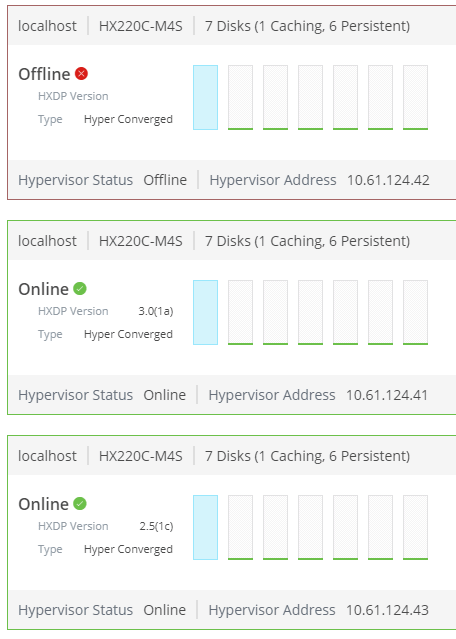 I have to say the Hyperflex systems are quite horrible, they keep breaking and take more than 10 times as much time to handle than the vSAN environments.